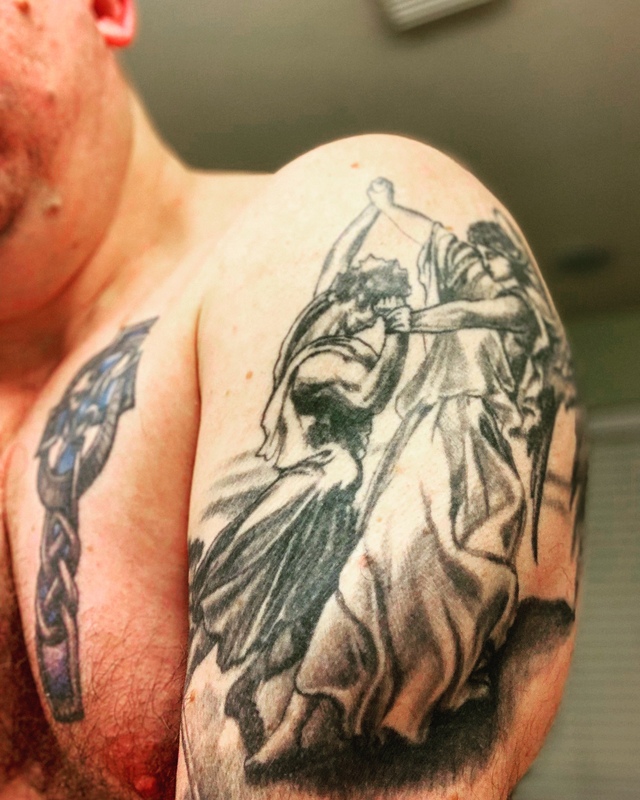 I have a tattoo of Jacob wrestling with God on my shoulder as a reminder that, engaging with God and with life brings much growth, but also pain. Jacob, whose hip was damaged by God as they wrestled, was forever affected by his encounter with God. So to, I carry with me the scars of battle. They are a part of my story reminding me daily that as painful as life can be, with God I can overcome.